Juvederm is used to treat moderate to severe facial wrinkles and folds around the nose and mouth. Adding volume to the nasolabial fold (the lines the run from the nose to the mouth) can help you look younger and refreshed. Dr. Paulsen is an experienced plastic surgeon that understands the underlying structure of the face. When selecting someone to administer your injectables choose a board-certified plastic surgeon that has studied the facial structure. Dr. Paulsen performs all the injections himself ensuring you have the highest quality care in the safest environment. Dr. Paulsen is the only doctor in Oklahoma selected by Allergan to train other medical professionals in the administration of dermal injections including Juvederm. Dr. Paulsen has earned the reputation of being one of the leading Tulsa plastic surgeons in the Tulsa area. Juvederm® treatments are a quick and simple approach to looking instantly smoother skin surrounding the mouth and nose. If undergoing a cosmetic surgery, Juvederm® is a common complementary procedure. Many of our Tulsa Juvederm® patients, both male and female ages 21 and up, see results from one treatment alone, lasting up to one year. Most treatments take around thirty minutes-one hour. In 2013, over 2 million patients sought a soft-tissue filler to aide anti-aging according to the American Society of Plastic Surgeons. Juvederm® is a gel-based injectable comprised of hyaluronic acid—a naturally occurring substance found in body connective tissue adding volume to skin. It can be referred to as a “filler.” Being of organic base, the product is proven safe for patients. 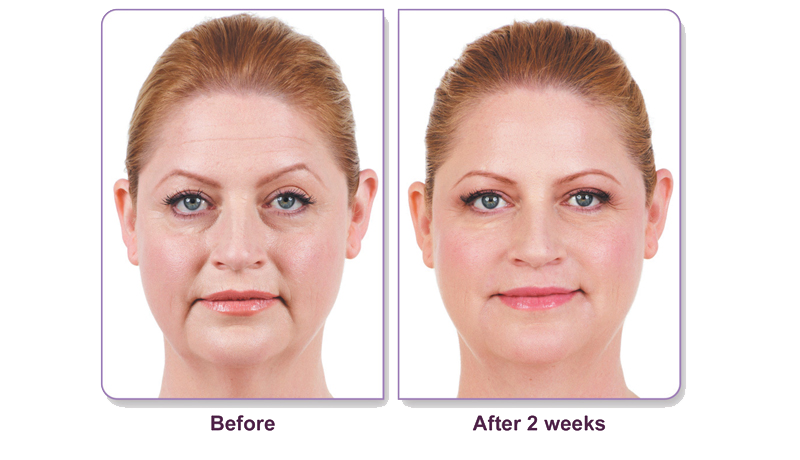 Juvederm® is not to be confused with its sister product, Juvederm Voluma which targets the cheek area. Juvederm® is specifically designed to treat mouth lines including: smile/parenthesis, corner, marionette and vertical lip lines.